How can we experience art using all of our senses? Technology to the rescue. Sounds, smells, tastes and physical forms inspired by visual artworks were displayed in parallel at the Tate Sensorium exhibition at Tate Britain, London. An immersive display featuring four paintings from the Tate collection were “stimulated” by other senses. This effort was aimed at triggering both memory and imagination. The sense of touch was realised by an Ultrahaptics transducer array. 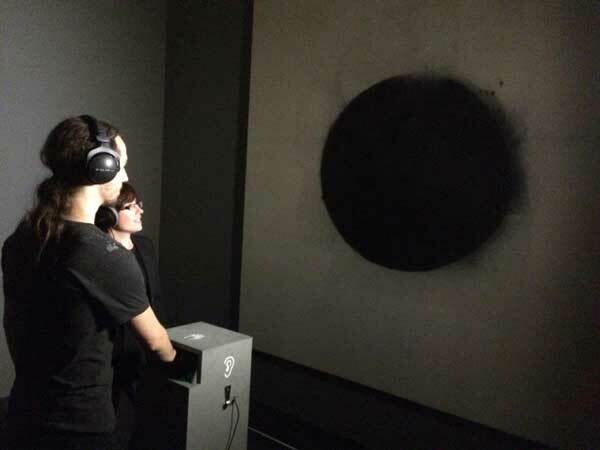 Developed by the London-based creative studio Flying Object, Tate Sensorium is the winning project of the IK Prize 2015, awarded annually for an idea that uses innovative technology to enable the public to discover, explore and enjoy British art from the Tate collection in new ways. In June 2016 Tate Sensorium won the Design Week Award for Exhibition Designs. The creation of the tactile experience using mid-air haptics was coordinated by Dr. Marianna Obrist and her team – Damien Ablart and Dr. Carlos Velasco – at the Sussex Computer-Human Interaction Lab. The team used Ultrahaptics technology to project ultrasound wave patterns on the palms of Tate visitors. The team also worked alongside a sound engineer, a master chocolatier, and a perfumist to create an installation which engages senses of touch, taste, smell, and hearing, as well as sight. “It is quite an intriguing experience. 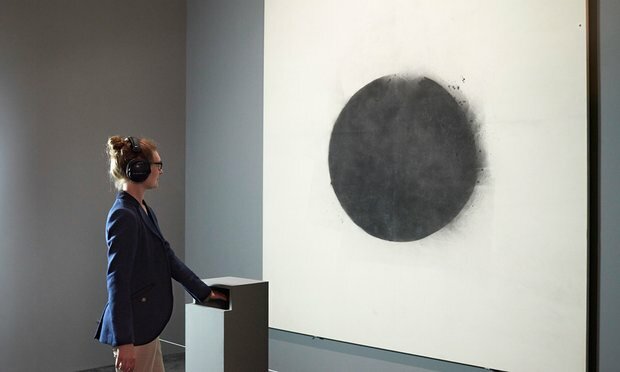 While you are looking at the painting, you are listening to a soundscape through headphones and also receiving haptic stimulation on your hand.Some people who have tried it out have said it feels a bit like a sphere or tunnel made out of air, or like a shape that you can’t quite get hold of. There is a section at the end that feels a bit like raindrops on your palm, which is reflected in the soundscape and in the painting itself. The paper ‘Not just seeing, but also feeling Art: Mid-air Haptic Experiences integrated in a Multisensory Art Exhibition’ presents in depth insights from the exhibition. Chi Thanh Vi, Damien Ablart, Elia Gatti, Carlos Velasco and Marianna Obrist look at how to design art experiences for all of your senses. In particular touch, with mid-air haptics.